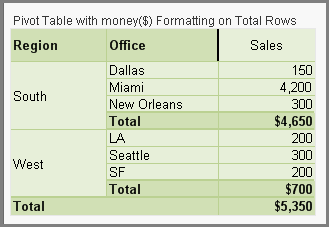 This example demonstrates using a different number format for chart total rows. 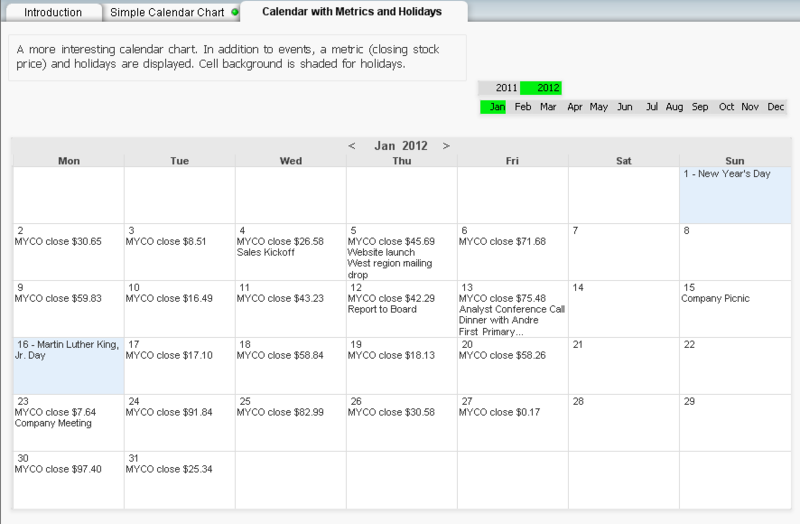 A “Calendar Chart” that displays events and metrics in the familiar Month/Weekday page format. The chart is just a cleverly formatted pivot table. 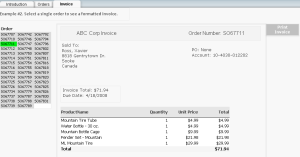 This example demonstrates how to create hover text in Straight and Pivot Table cells. 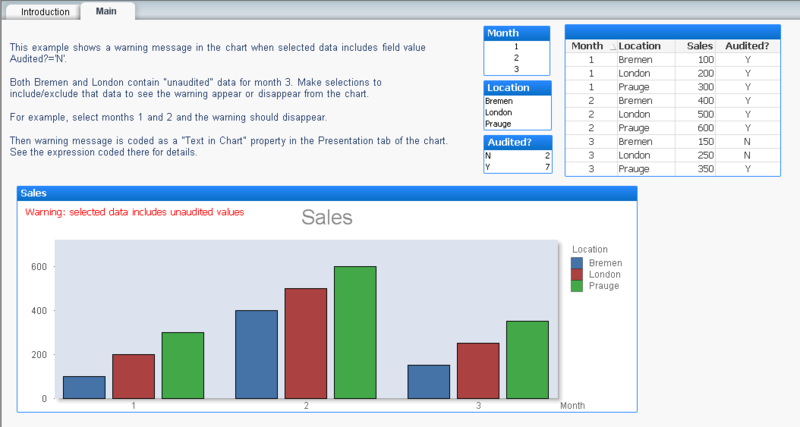 This example demonstrates using the Conditional Show property to show additional Charts and Text Objects after selecting to a single item. 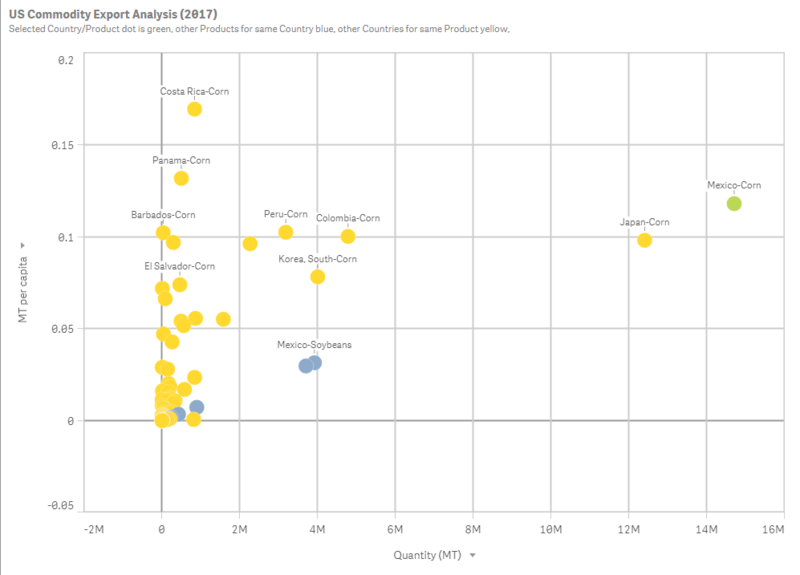 Revision 2 of this recipe demonstrates showing additional charts after clicking in a bar chart. 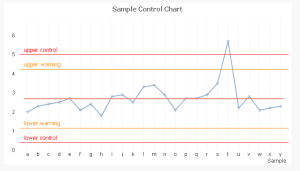 Example of a Control (Shewhart ) Chart. 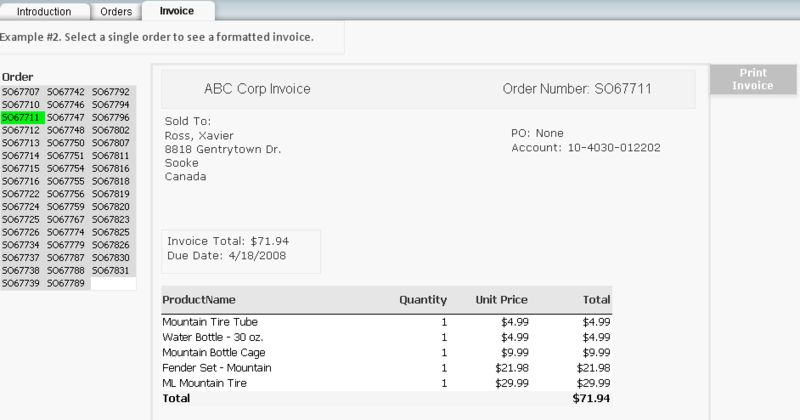 There may be unusual cases where you want to the user to make multiple selections before calculating charts(s). 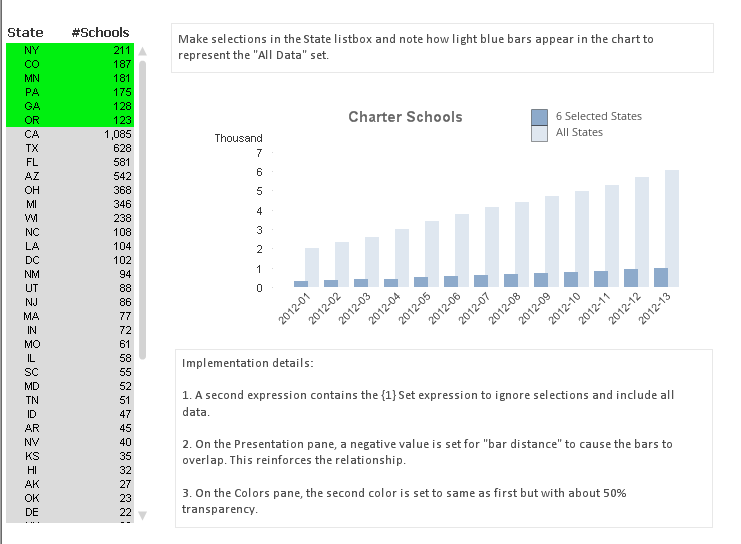 This example demonstrates how you can collect proposed selections in an alternate state and defer applying those selections to charts until the user presses “Apply”. How to emphasize specific lines in a line chart. 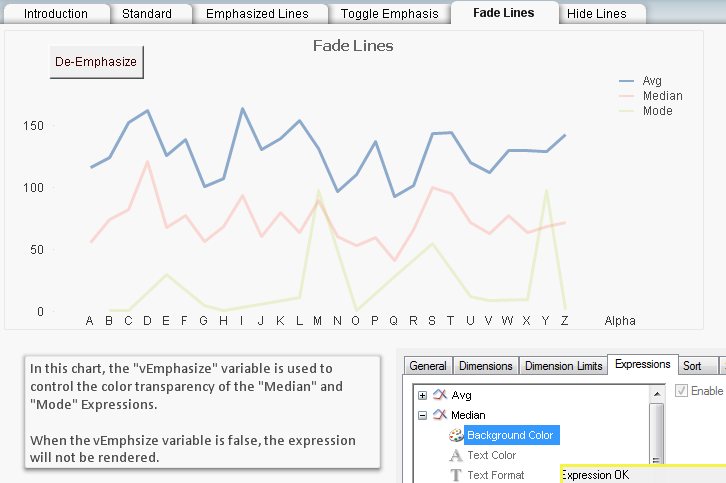 We’ll look at changing line widths, fading colors and hiding lines. 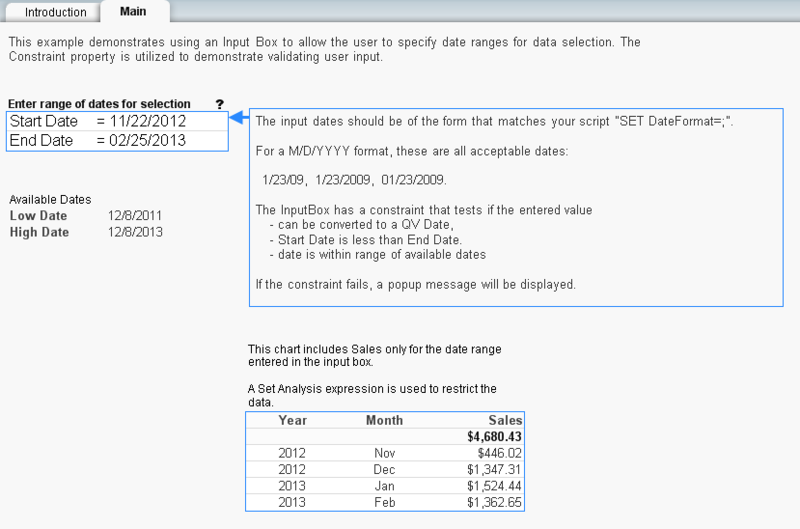 This example demonstrates using an Input Box to allow the user to specify date ranges for data selection. 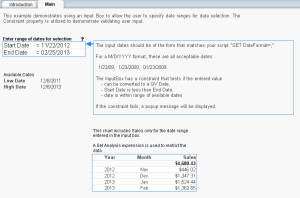 The Constraint property is utilized to demonstrate validating user input. 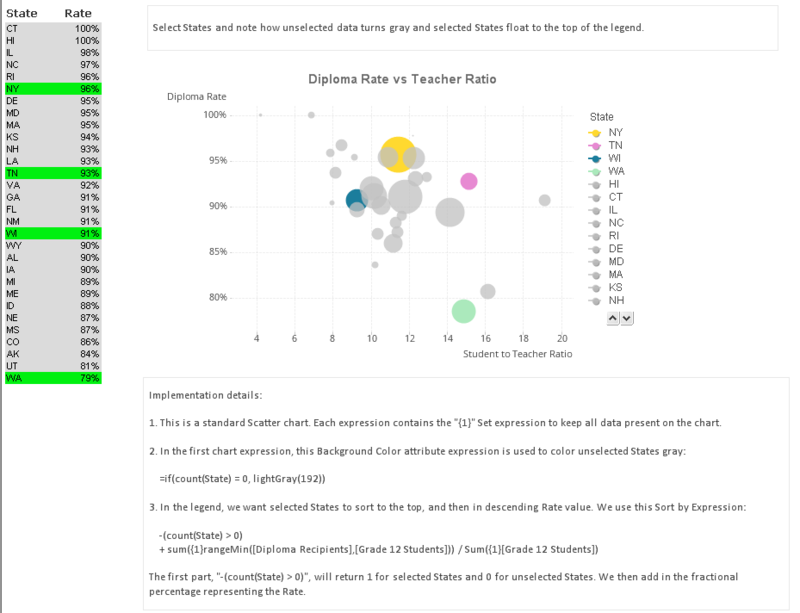 This example demonstrates various techniques to emphasize selected data while still keeping all data in view. More information can be found in the blog post “Focus not Filter” . 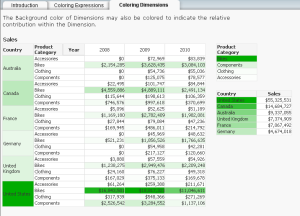 Color shading or gradients can be used to indicate the relative weight of values in text charts. This can be useful to draw attention to more important values in a dense text chart. This example demonstrates a technique for improving the performance of a large document when a chart needs to choose one of several expressions based on user selected options. Complete explanation can be found in this post “How to Choose an Expression“. This example accompanies the blog post “QDG Guru Day Inspiration“. 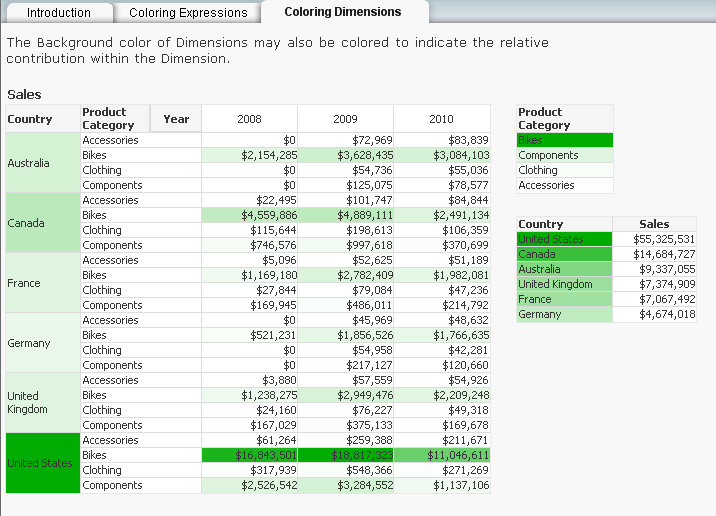 The example demonstrates using color encoding in a scatter chart to display two inter related dimensional series. 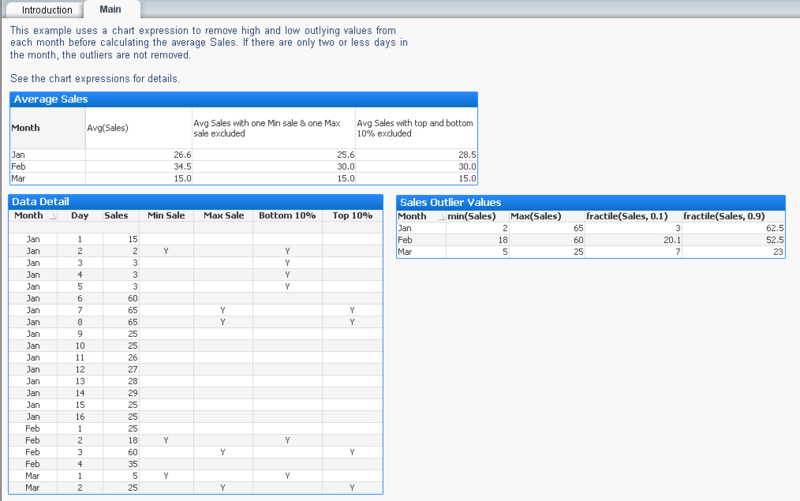 Using a chart expression to remove high and low outlying values from each month before calculating the average Sales. If there are only two or less days in the month, the outliers are not removed. 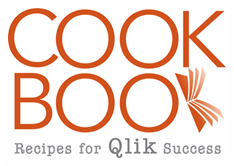 This recipe provides examples of using a Pivot Table to display data in a grid. The second dimension is dragged to the horizontal creating a cross table. The Pivot Table provides more options than a Grid chart for representation. This example shows how the Aggr() function can be used to narrow or widen selections from a Calculated Dimension. 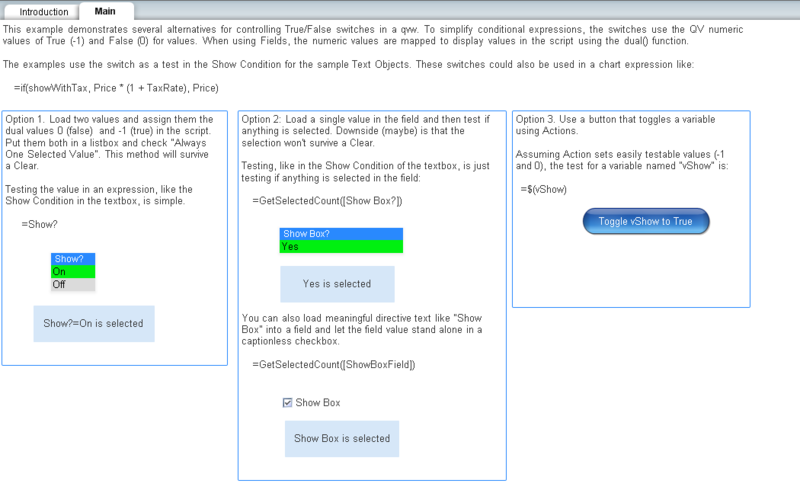 More on this topic can be found in the blog post “Scoping Selections with Aggr“. 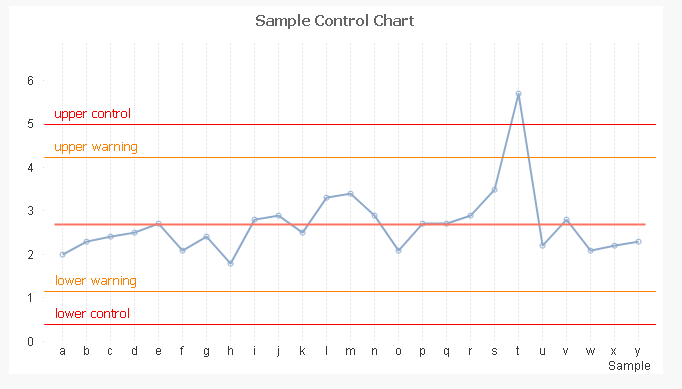 This example conditionally displays a warning message in the chart when specific values are present in the data. This example demonstrates several alternatives for controlling True/False switches in a qvw. 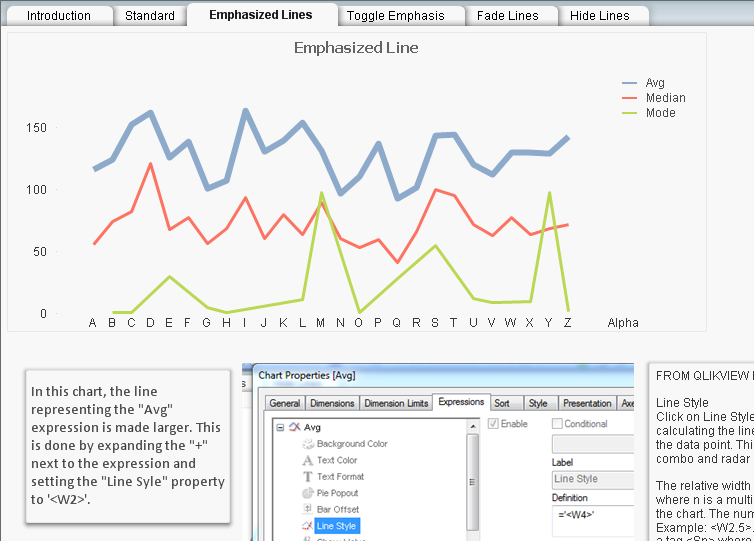 Chart properties provide options to suppress the display or calculation of a column. In this tutorial we’ll explore the difference between those two options and look at some use cases.